EPOC (Ekurhuleni Pride Organising Committee) is a LGBTI organisation based in Vergenoeg, in KwaThema township, East Rand, Gauteng – South Africa. On May 17th, 2014 about 25 individuals including myself attended an outreach programme organised by EPOC. 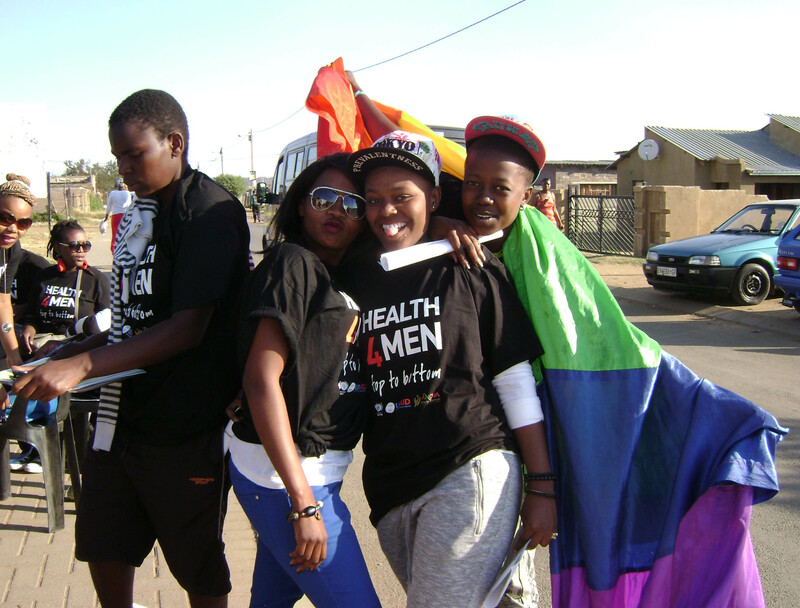 The outreach programme is aimed at working together with other LGBTI organisations in townships of Ekurhuleni. This time EPOC KwaThema is liaising with Imbumba, Kingsway. I got to EPOC offices in Vergenoeg and got a t-shirt printed ”Health for men”. Everybody was wearing the T-shirt and we all contributed R32- (South African rands). Please note that only EPOC’s members who paid that amount because they came from KwaThema which is far from Kingsway. When we got to Kingsway we met Nkosinathi Dlamini and Sihle Kumalo who are directors of Imbumba, a LGBTI organisation in Kingsway. Dlamini and Kumalo started Imbumba in August 2013 and currently has seven (7) members. Nkosinathi Dlamini, one of the Imbumba directors in Kingsway. Nathi is a superlicious (I just made that up when I saw him) amazingly flamboyant gay. Sihle is a very well grounded lesbian that knows what her aims are, and will not give up on them. They are such an exuberant duo zest for life and they do not let their adversities get in the way of achieving the goal of a homophobic free society. Not many people attended from Imbumba organisation. As Imbumba directors say, that Kingsway is a gay unfriendly society. The LGBTI community here is also not interested in an ”organisation”. As Sihle says that “they say that an organisation won’t do anything for them, it doesn’t pay them”. However, when something happens to them (such as hate crime related incidents), they run to Imbumba for support. These two individuals don’t rest, they still offer full support to the gays and lesbians of Kingsway. They are determined to establish their organization, regardless of the challenges they are faced with on a daily basis. They have now united with EPOC in order to have support instead of struggling solely with their battles. EPOC has open doors for Imbumba to join hands and stand strong as a collective. These organisations are vital to African societies because homophobia is a serious ailment in our communities. Without these organisations we are lost with no guidance, no support and no identification on our existence as LGBTIQ’s. Lebogang Mashifane is a videographer and video editor. 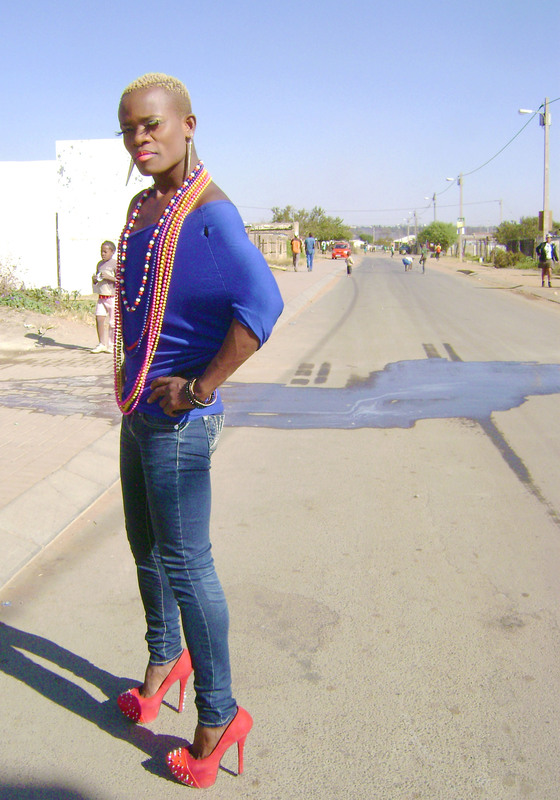 She was born on the 3rd May 1989 in KwaThema, the township of Springs in East Rand, Gauteng Province. After completing junior school, she relocated to Cape Town. She completed her matric at Norman Henshilwood High School. After matric she worked as a customer care agent and also a debt collector at call centres for a year in order to raise funds to further her education. She studied Multimedia Technology at Cape Peninsula University of Technology (CPUT). In 2013, she did an internship at Spirit Sister Productions for a year and worked as a camera operator for Kenilworth Racing TV Department. Besides her job, she documented poetry sessions in and around Cape Town. She also captured performances at Baxter Theatre, Wits Theatre and Gauteng Arts Theatre. She has captured various LGBTI events and freelanced for Gender Dynamix (GDX). 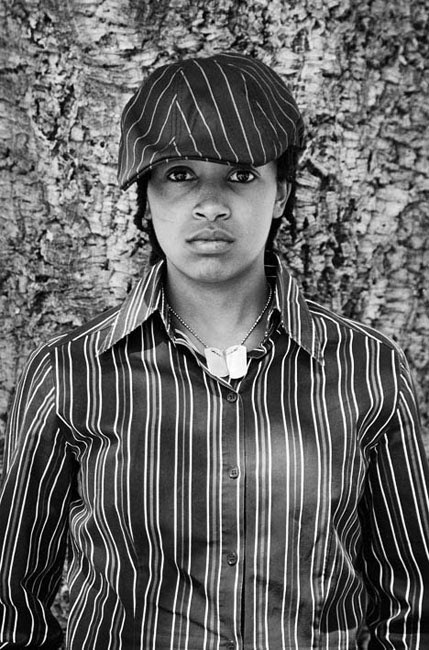 She has worked closely with Zanele Muholi/ Inkanyiso and appears in Faces and Phases series. This entry was posted in homophobic, Imbumba, Lebo Mashifane and tagged Act, activism, Activists, Another approach is possible, Articles, Arts, Black lesbians, Black townships, Community outreach, Ekurhuleni, EPOC, Friendships, Gauteng, human rights, IDAHO (International Day Against Homophobia and Transphobia), Johannesburg, Kingsway township, KwaThema, Lebo Mashifane, LGBTI organisaitions, Professionals, Relationships, Solidarity, We Care, Writing. Bookmark the permalink.